Singer songwriter Tom Figgins is a prodigious but humble talent. With a work ethic that matches his passion for music. Tom's ethereal new acoustic folk sound is littered with influence whilst remaining a very much a unique sound. Tom's incredible vocal range, masterful guitar playing and heartfelt, relatable lyrics make his performances genuinely captivating and have in turn earned him many fans. One of these fans is BBC Radio 2's Chris Evans who has hosted Tom on his show a number of times as well as inviting him to play Carfest, two years on the trot. At 19 Tom penned his debut EP Your Place from his bedroom. 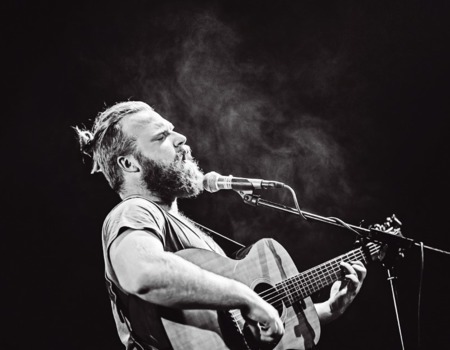 His second release Wake Up went on to achieve critical acclaim on both sides of the Atlantic and since then Tom can boast years of relentless gigging and song-writing where Tom has been developing and honing his sound in front of audiences the length and breadth of Britain. Tom's latest offering, Ghosts, is released at the end of August this year and is set to take this talented man on the next step of his musical journey.